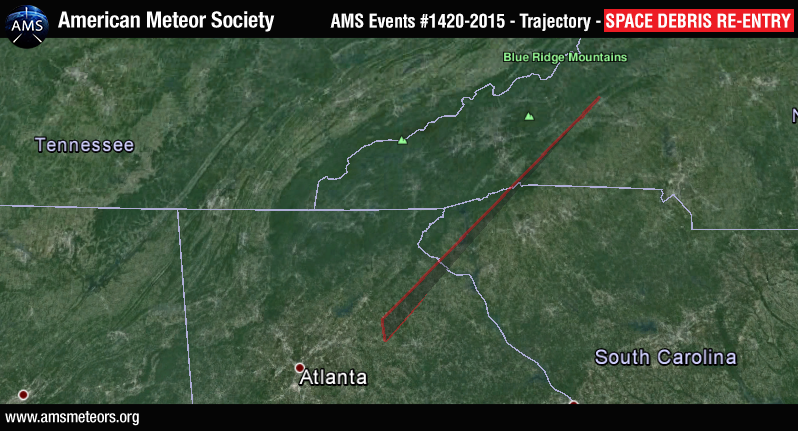 The AMS received over 150 reports of a bright fiery object traveling from the south west to the north est over Georgia, South Carolina and North Carolina. 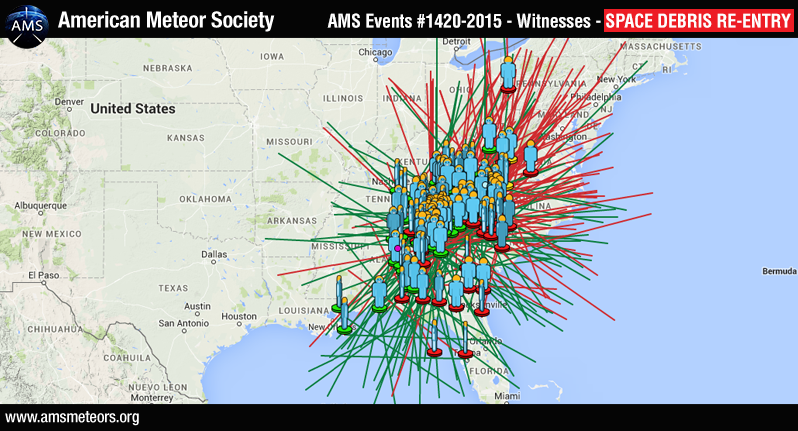 The American Meteor Society received over 150 reports about a slow moving grouping of bright fiery objects traveling from the south west to the north east. Witness reports indicate, the objects were seen from as far west as Louisiana and as far north as West Virginia. The phenomenon was seen from Georgia, Tennessee, Alabama, North Carolina, Virginia, Florida, Louisiana, South Carolina, Kentucky, West Virginia and Mississippi on Monday, June 29th 2015 around 01:30 AM EDT. This description is typical for what a space debris reentry would look like. As the space junk breaks apart in the atmosphere each nut, bolt or fragment of glass or metal will create a mini fireball. These objects generally travel much slower than fireballs and cover wider distances. Most of the witnesses reported the event lasting more tha 45 seconds, where as a normal fireball would last 3-5 seconds. The long duration time, witness descriptions and long distance of travel suggest this object was some type of space debris. It is possible that this event was the early reentry of the SL-6 Rocket Body 2 which is part of the Russian Cosmos 2196 Missle Early Warning system. If you want more info about Fireballs, Meteors and Meteors Showers, please read our FAQ. 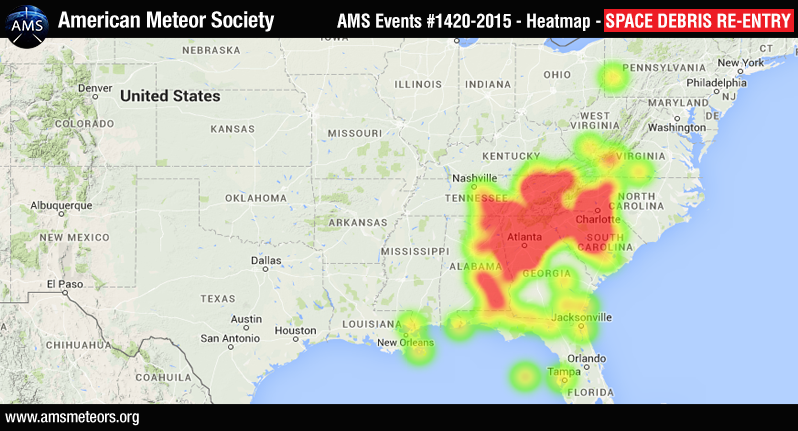 Below is a heat map of the witness sightings. Below is a map of the witness sightings, the green lines indicate where the witness first saw the object and the red lines show where they last saw it. Computing and averaging all of the witness reports yields the following trajectory. 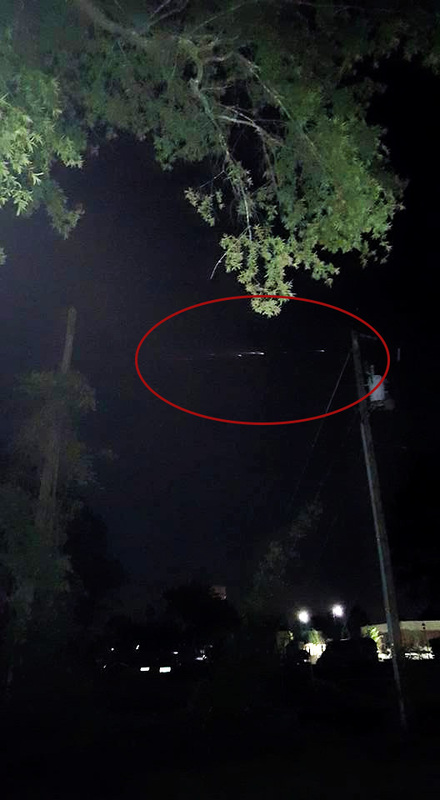 Hi just yesterday on June 30 i saw the same type of thing you guys saw i live in Western NY and it was the north and west of me it was moving VERY slowly across the sky but it was moving and was dropping in elevation did anyone else see this. I SAW A FIREBALL LAST NIGHT. IT WAS AWESOME TO SEE SOMETHING LIKE THAT. THE TAIL OR TRAIL ON IT WAS VERY LONG. THE ITS SEEMED LIKE I COULD EVEN HEAR IT GO BY. I COULD BE WRONG. I AM STILL IN AWE OF SEEING SUCH A MAGNIFICENT SIGHT FROM SPACE. I LIVE IN CUSSETA GA! 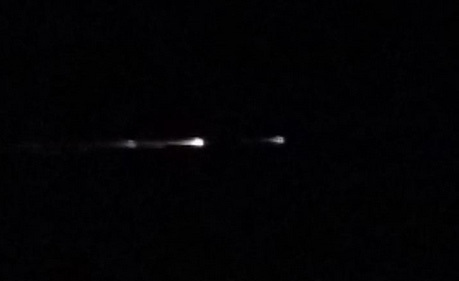 My son and I saw something looking like a firework show in the sky last night and found out on here that it was a fireball. We live in Willow Springs, Mo and we thought that was the most amazing thing ever to see.